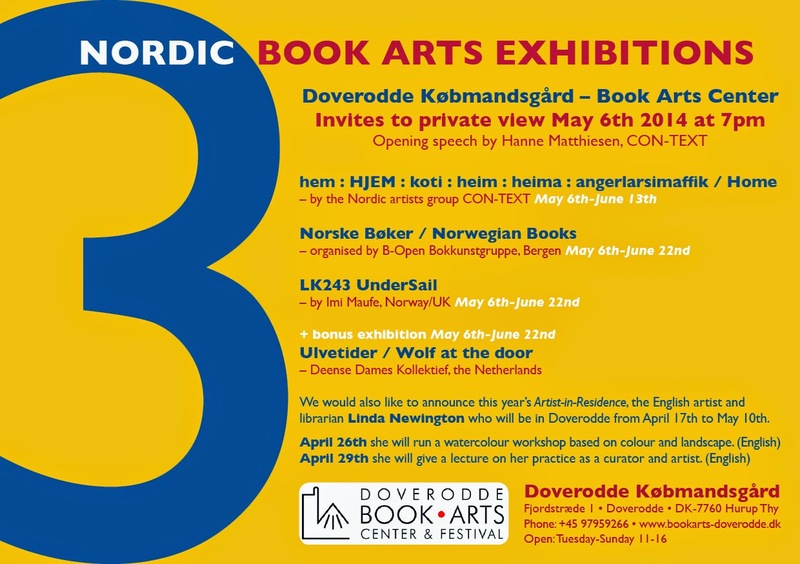 Invite to the Private View using a Norwegian blue, Danish red and a Swedish yellow. By Ambeck Design 2014. 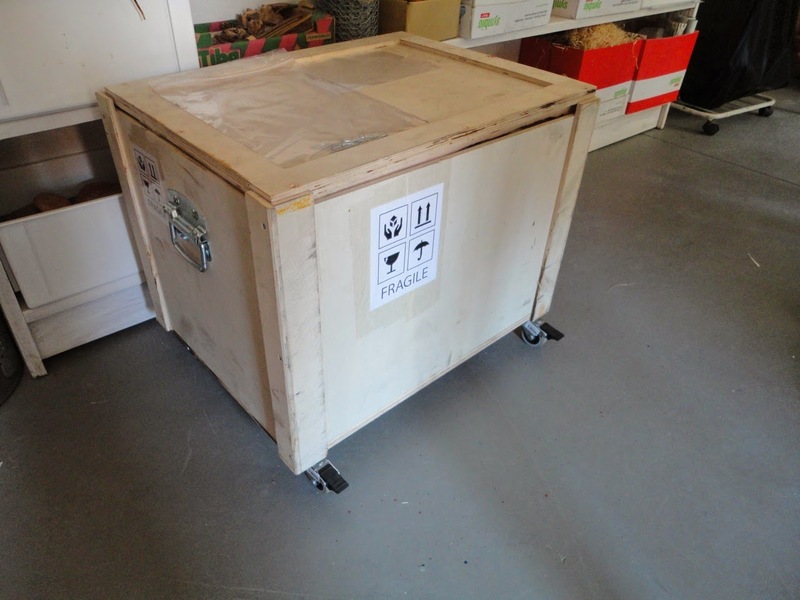 First crates appeared – 4 in all and a packet – here Norske Bøker. In all about 150 artists' books to unpack. Two evenings before the opening Marianne Laimer kindly came down from Sweden to help put up the exhibition by CON-TEXT: hem : HJEM : koti : heim : heima : angerlarsimaffik which was a great help. 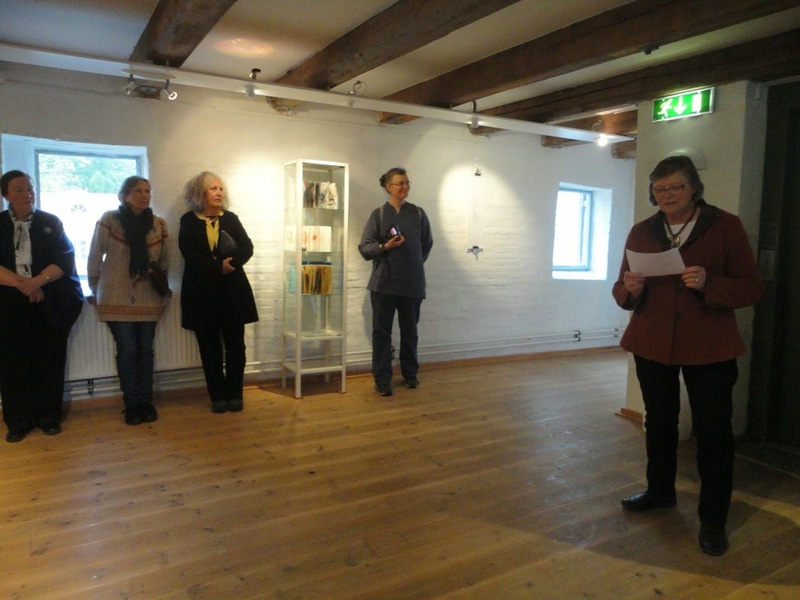 And here we are – the Private View May 6th, 2014. 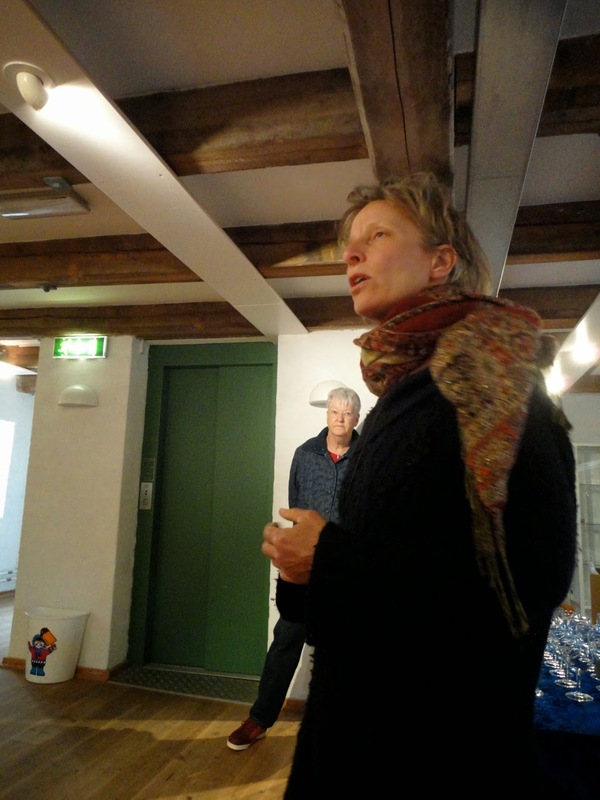 Hanne Matthiesen giving the Opening Speech – introducing the "Home" exhibition. Photo M-SDA 2014. 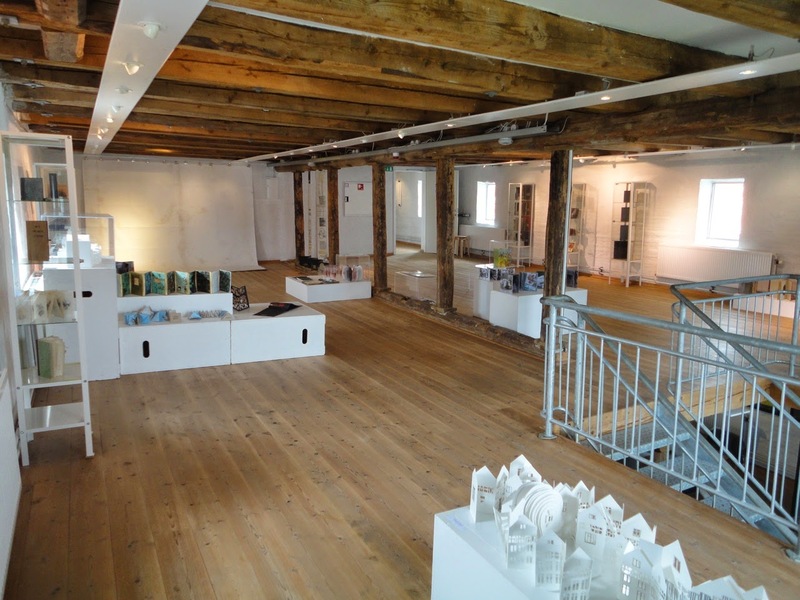 Restaurant Købmandsgården – one view from the exhibition. Photo M-SDA 2014. 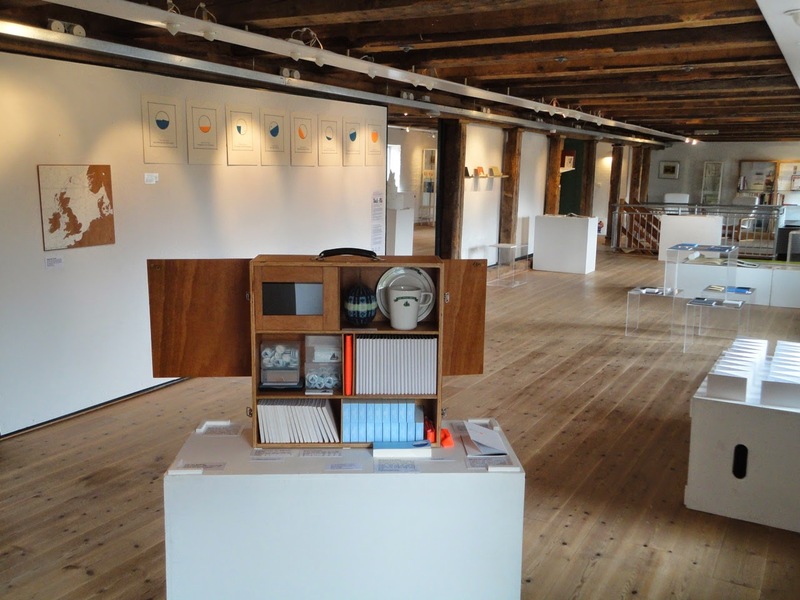 A touring artists' books exhibition created by 33 Nordic artists from Denmark, Finland, Faroe Islands, Greenland, Iceland, Norway and Sweden. 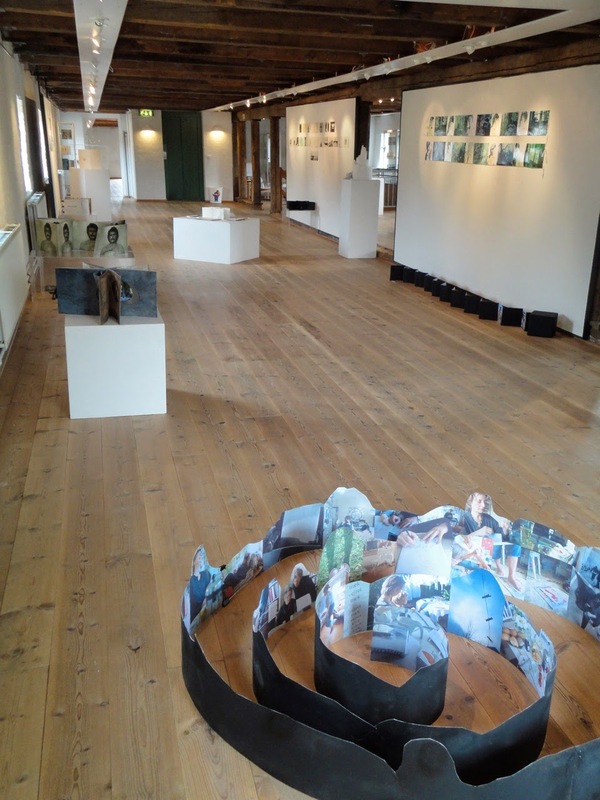 The exhibition revolves around the concept of "HOME" - the actual home, the accommodation, but also broadly speaking about identity, the feeling of homeliness and recognition. The concept of "home" coincides to some degree with the term "accommodation" but not entirely. Home expresses a sense of belonging; it's where you belong, it's your base and your point of existence. Where is my home? What or where is "home" to me? Is it the place I grew up? A given area/location/feeling/the family home/or??? Does the home reflect a particular nature/culture/neighbourhood? What values ​​must be present in order for me to feel at home. "Home" is perhaps not a concrete house or a place, but something completely different? Perhaps it means "home" to be present/in the moment/to be home in ones body/mind? 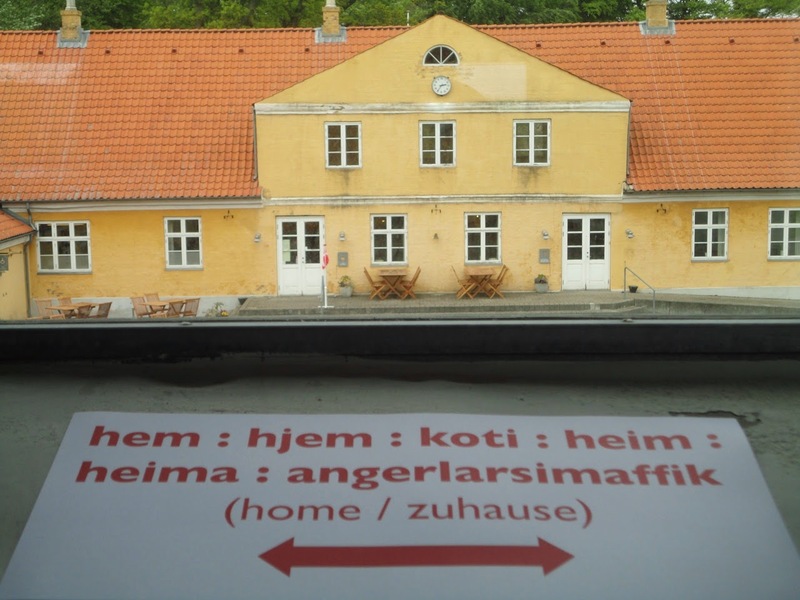 hem : HJEM : koti : heim : heima : angerlarsimaffik by CON-TEXT. In front: "On location" by ARTROVERT. Photo M-SDA 2014. 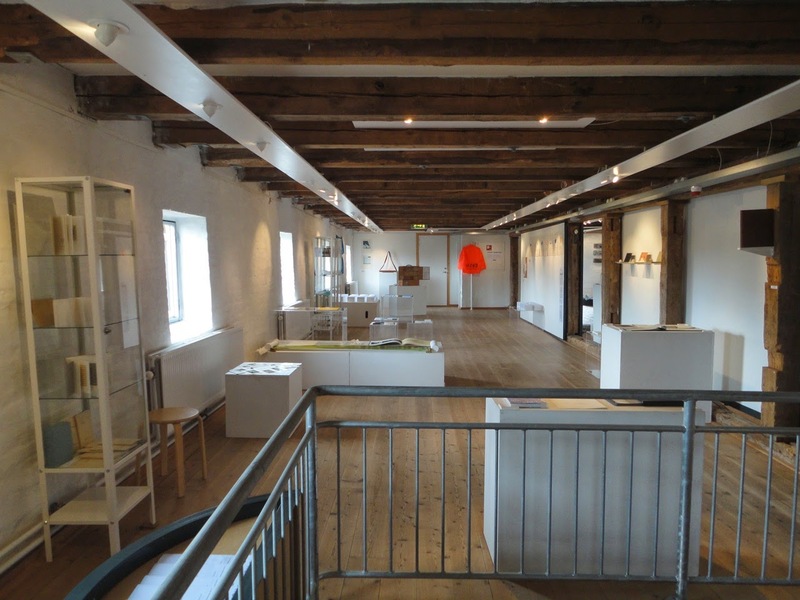 On the wall: "Lillingstonheimen" & "3900 Nuuk" by Anne Bjørn and below: "Helt mørkt" by Helga Pálína Brynjólfsdóttir. 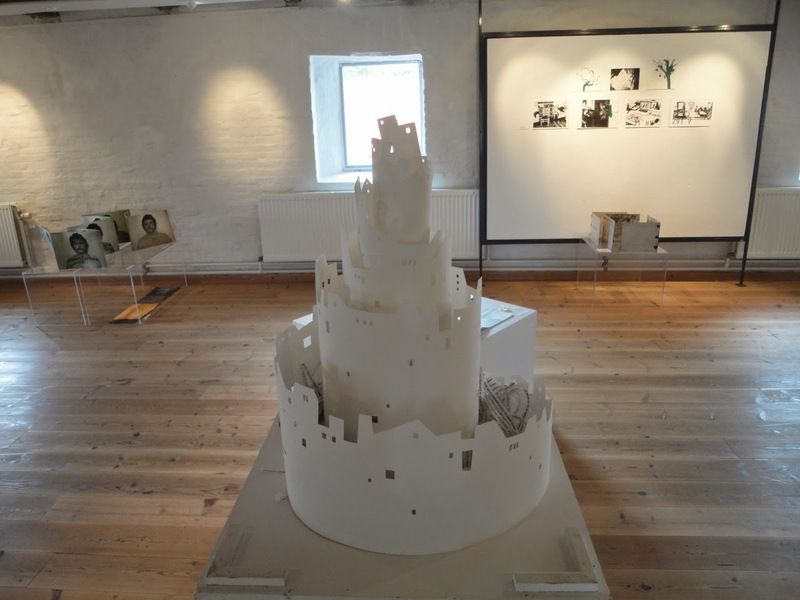 In front: "Babel" by Áslaug Jónsdóttir. 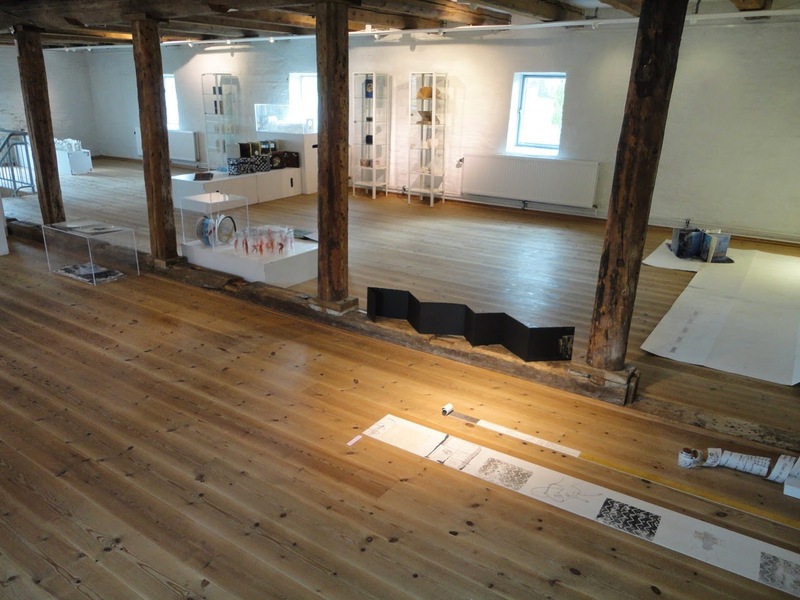 Photo M-SDA 2014.
hem : HJEM : koti : heim : heima : angerlarsimaffik by CON-TEXT. Photo M-SDA 2014. 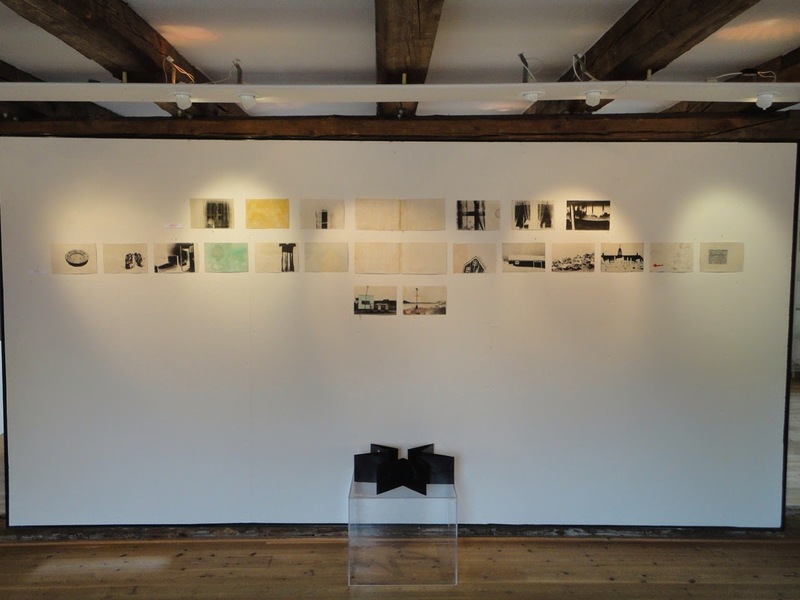 B-Open Bokkunstgruppe have organised a collection of books by artists who live and work in Norway. 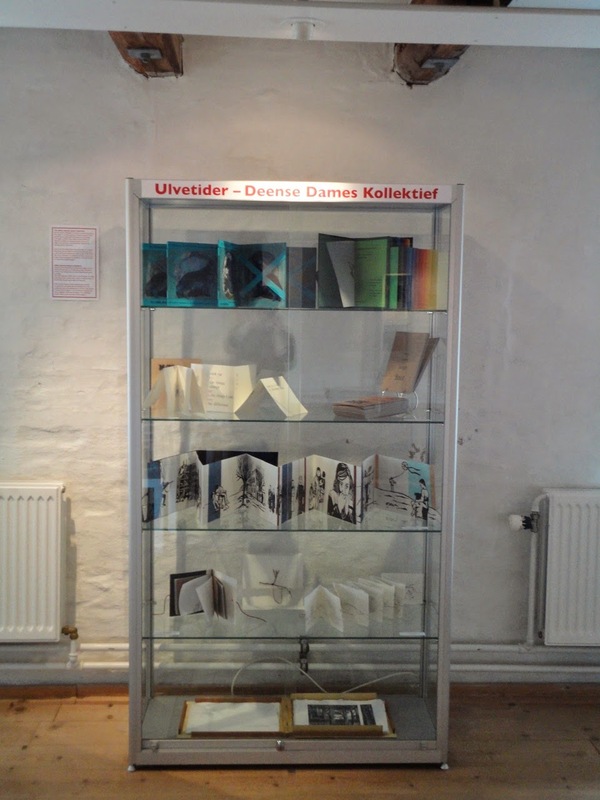 Norske Bøker consists of 45 books created by 25 artists of whom most have a connection to Bergen. 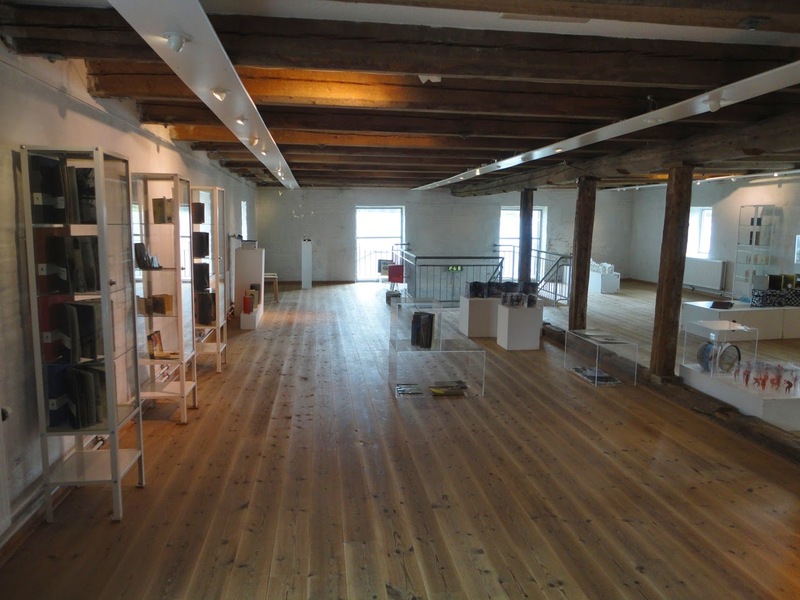 This is a touring exhibition without a theme except it shows how artists in Norway use the book format in their art. 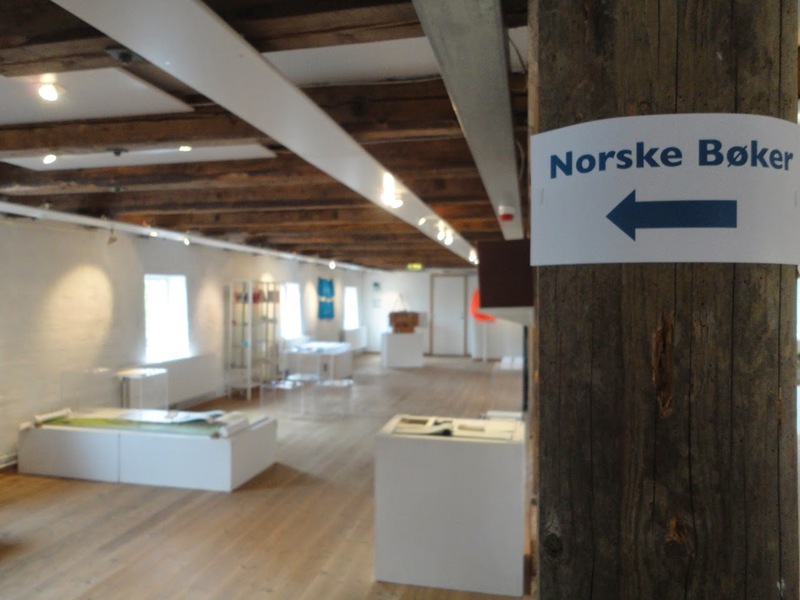 Norske Bøker (Norwegian Books). Photo M-SDA 2014. LK243 UnderSail is the response to a residency on board the Swan, a Shetland herring drifter from 1900, during the Tall Ships Races 2011. 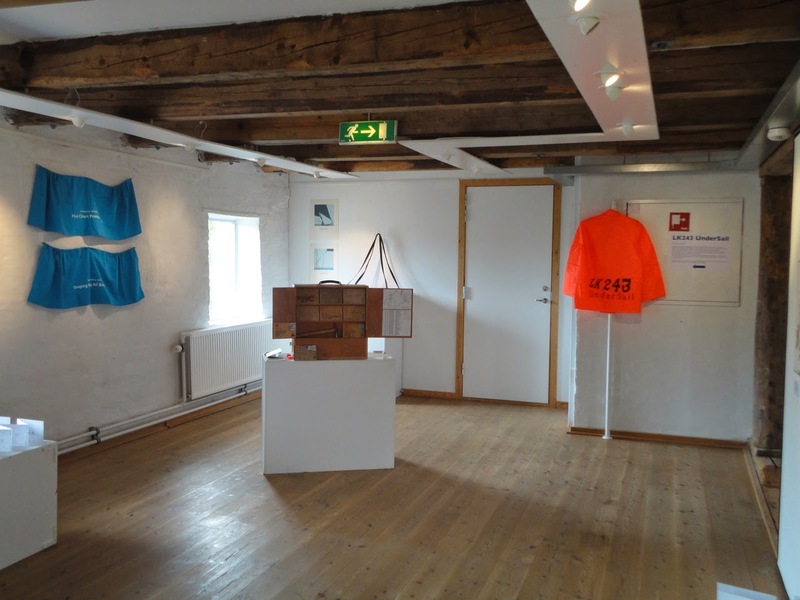 Imi Maufe sailed with the boat for 5 weeks, from Waterford, Ireland to Halmstad, Sweden via Greenock, Scotland; Lerwick, Shetland and Stavanger, Norway. During this time she cast into the sea 43 wooden postcards. The eight that were found along with prints, books and other artefacts have been housed in a bunk box. This bunk box was specially designed to fit at the end of the bunk, the only private space that Imi had during the Voyage. During the voyage – when the boats arrived in harbour – Imi also collected 500 drawings or writings of boats from the general public and crew of the participating ships. Some of which are displayed as concertina books and more can be found in the bunk box. 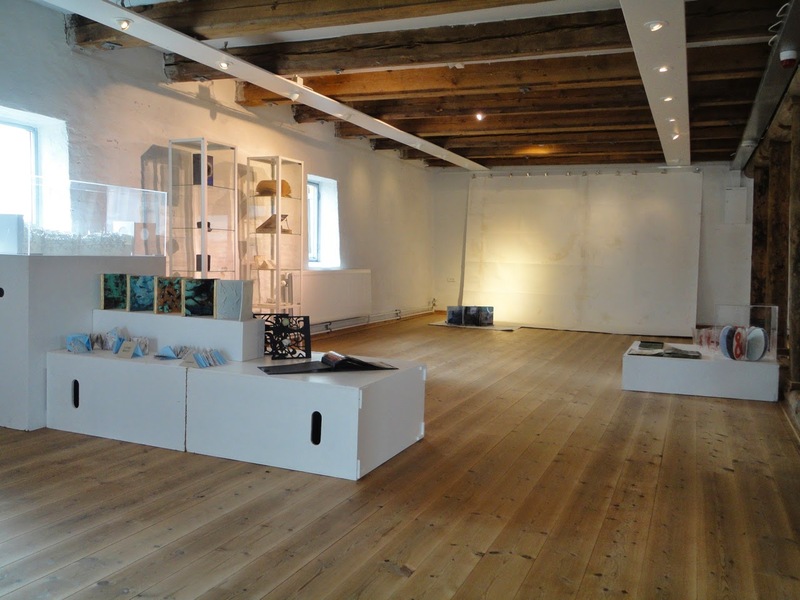 Part two of this residency was four weeks based on at Taigh Chearsabhagh Arts Centre, North Uist and Shetland Arts Development Trust in Lerwick finalising work. LK243 UnderSail by Imi Maufe. Photo M-SDA 2014. – by Deense Dames Kollektief, the Netherlands (The Danish Ladies Artists Collective). 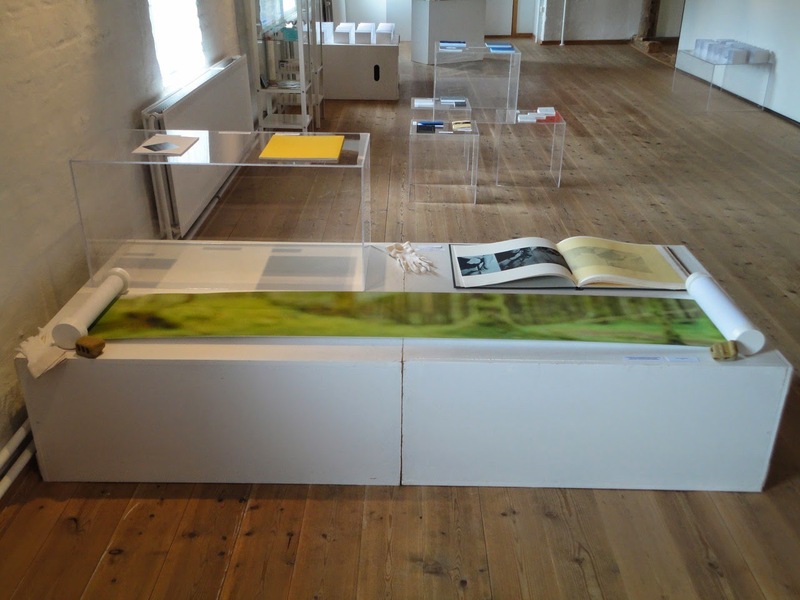 New pieces created for the Doverodde International Book Arts Festival V & Symposium – 2014 Open Call: Ulvetider/Wolf at the door. 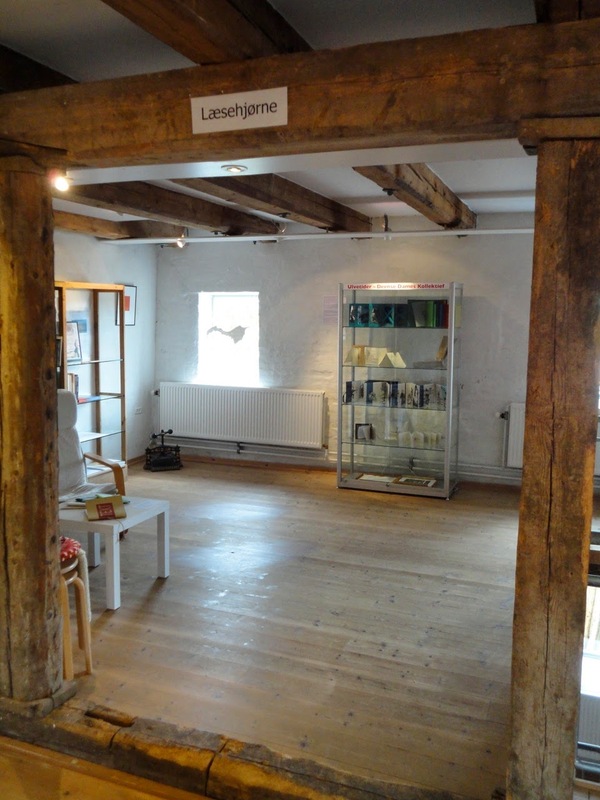 Sadly the event had to be cancelled due to unsuccessful funding applications. The Reading Corner. Photo M-SDA 2014. Ulvetider/Wolf at the door by Deense Dames Kollektief. Photo M-SDA 2014. 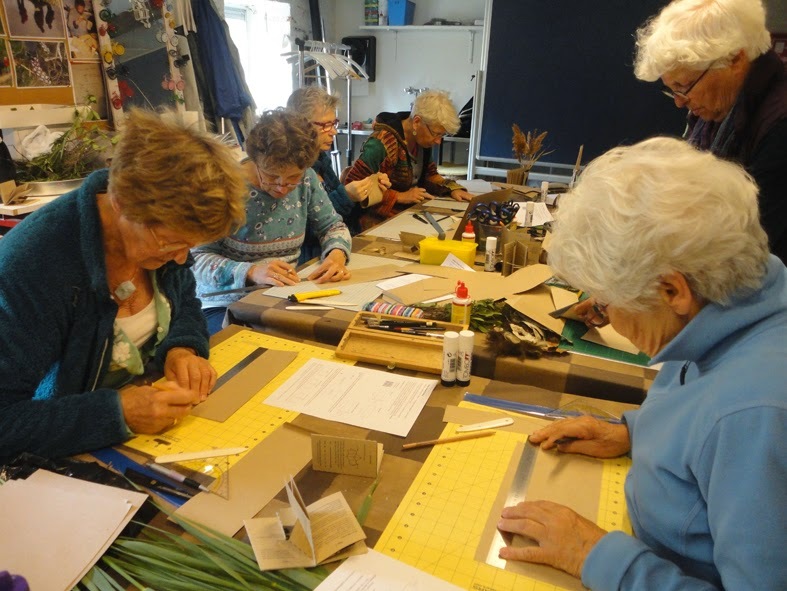 June 2nd, 2014 the Deense Dames Kollektief came to Doverodde to attend our "Nature & Book Arts Workshop". 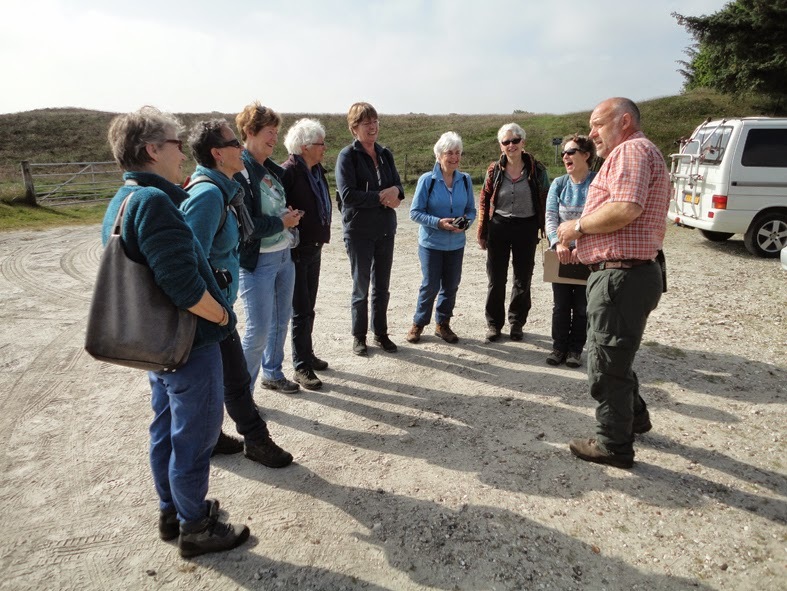 The Deense Dames Kollektief with Nature Guide Søren Kiel Andersen at the Burial Mounds at Ydby. Photo M-SDA 2014. 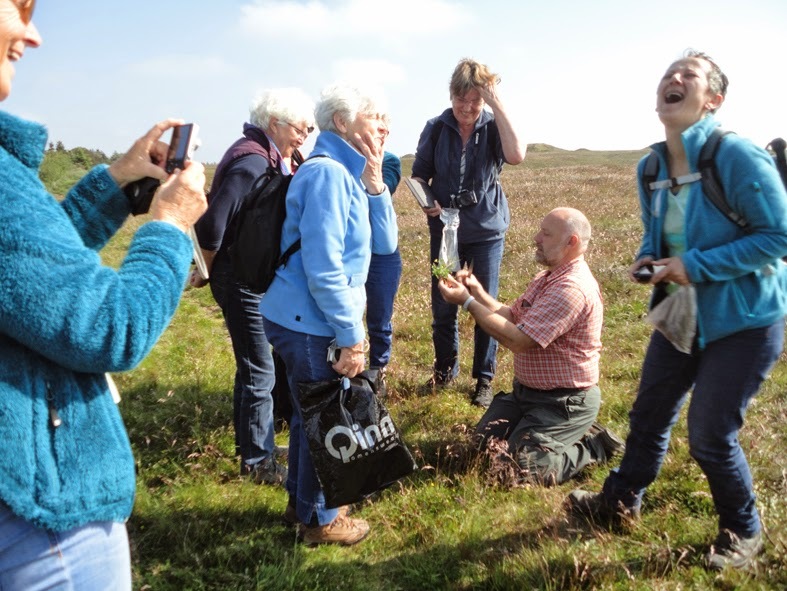 Having a laugh on the heath. Photo M-SDA 2014. 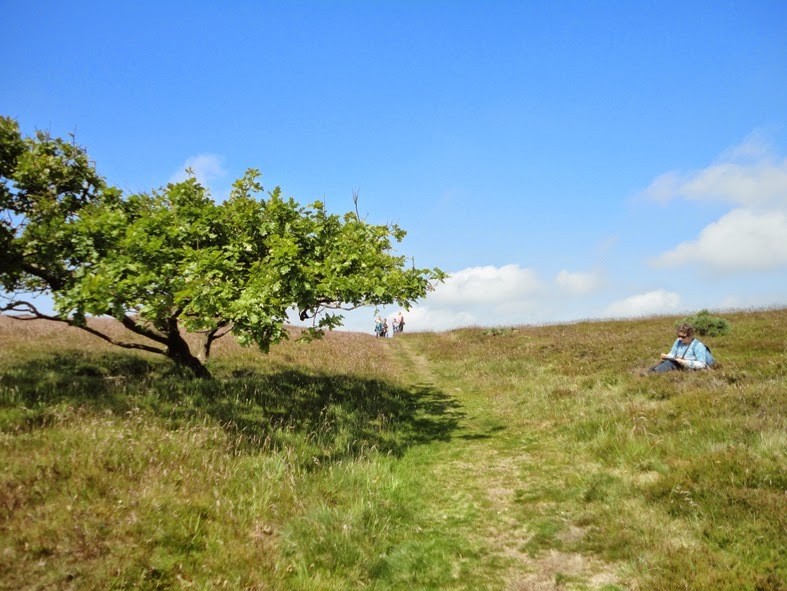 Drawing an oak tree at Ydby Heath. Photo M-SDA 2014. Concentration in the workshop: Piano Hinge Binding. Photo M-SDA 2014. A finished book by Marijke van Dijk after a lovely day. Photo M-SDA 2014. 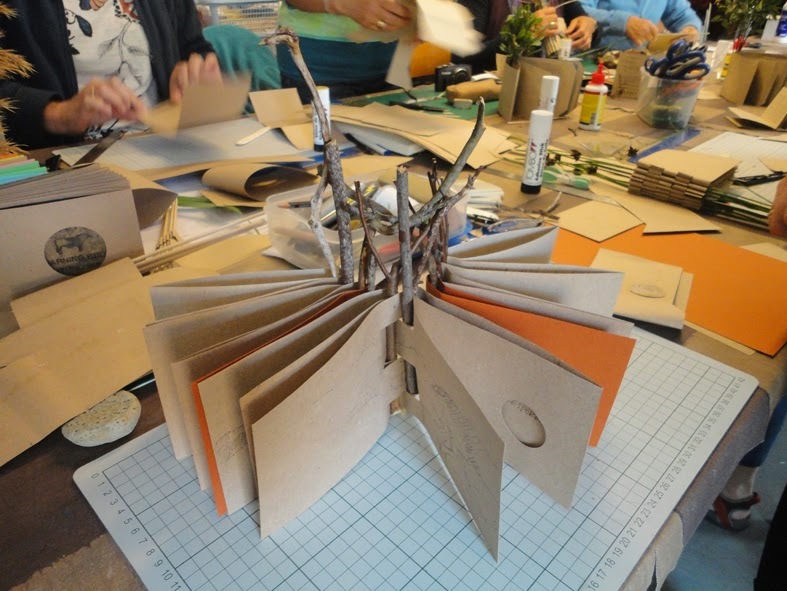 Our own collection of book arts purchased and from donations from 2009-2013 will be on display. 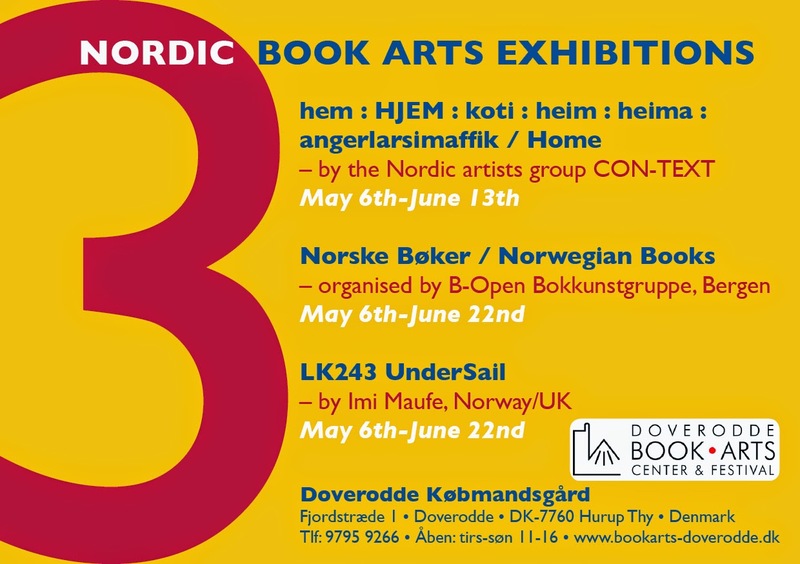 Exhibition flyer/poster using a Danish red, Norwegian blue and a Swedish yellow. By Ambeck Design 2014. 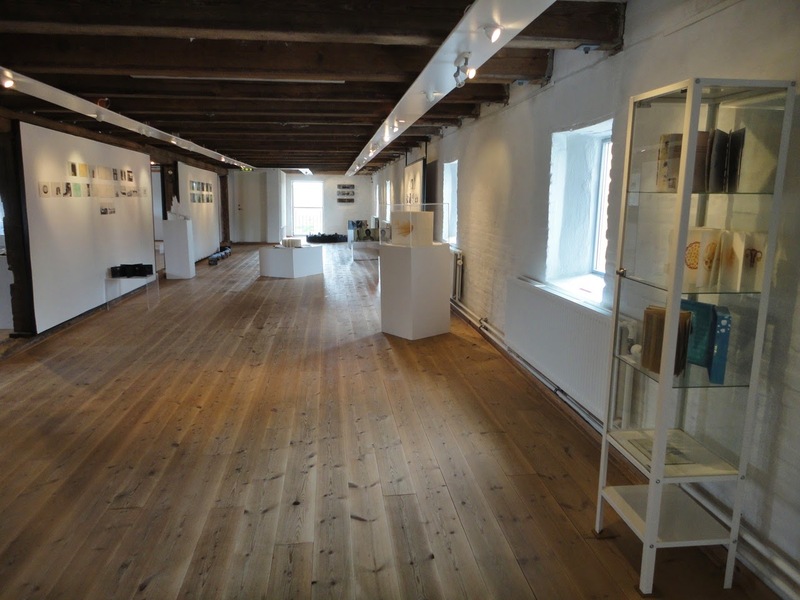 A review of the exhibition by Linda Newington can be read in the June-July 2014 Newsletter from Centre for Fine Print Research at University of the West of England, Bristol.